Spain has millions of pets that must all have a name. Apart from the fact that it is easy to name a beast by name, it is even mandatory in Spain. Recently the most common dogs and cats names of the Netherlands were announced and so it was time for the editors to find out what the most popular names of Spain are for dogs and cats. 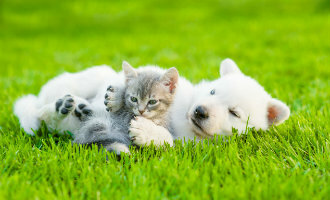 As in other countries, dogs and cats are often much more than just a pet. Dogs and cats are also house friends and for many even more important than anything else in their lives. The "owners" or "housemates" like to give a nice and original name to their dog or cat but unfortunately they often correspond with those of other dogs and cats so it is also possible to find out what the most common names of dogs and cats are in Spain. Incidentally, it is very much in Spain where people live. In the Basque Country or Catalonia, the names are often very different than in Madrid or Andalusia, for example. For the sake of convenience we did not look at the regional names, otherwise it would be a very long list. We now know through publications in the Dutch press that the most common dog names in the Netherlands are: Max, Bella, Bo, Pip and Guus. In cats, that list is slightly different and the following top 5 can be noticed: Pip, Luna, Max, Gizmo and Nala. According to various publications in Spain, which rely on surveys and the information from the institutions where dogs and cats are registered (because of the identification chip), the following names are the most popular names in dogs and cats in Spain. In the case of female cats, the following names are the most popular in Spain: Luna, Kitty, Nina, Lola and Pelusa. The following names are the most popular cats: Tom, Simba, Zeus, Feliz and Nino.